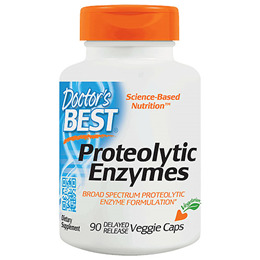 Best Proteolytic Enzymes is a potent formulation containing a broad spectrum of proteolytic enzymes (proteases). Proteolytic enzymes function in the body to digest and break down proteins into their amino acid components. 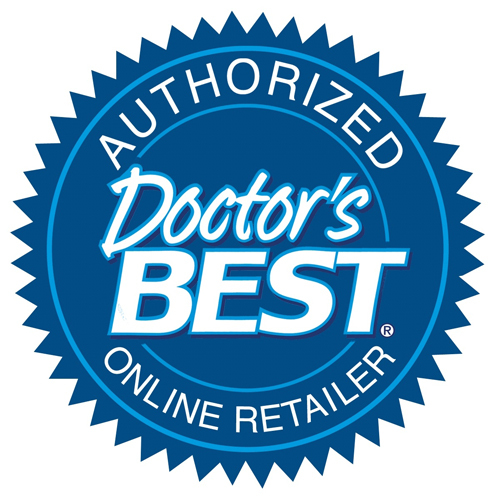 Doctor`s Best designed this exceptionally potent, high-quality proteolytic enzyme formula to include a broad spectrum of proteolytic enzymes from a variety of plant, bacterial, and fungal proteases. The goal was to create a blend that works at a variety of pH levels to support the body`s native enzymatic needs. Maintaining optimal enzymatic function is a key factor in supporting the foundation for health and wellness of numerous individuals. Other ingredients: Cellulose, delayed release vegetarian capsule (modified cellulose, pectin, purified water). Take 3 capsules daily without food, or as recommended by a nutritionally-informed physician. Below are reviews of Best Proteolytic Enzymes - 90 Vegicaps by bodykind customers. If you have tried this product we'd love to hear what you think so please leave a review. One year later still happy with most of the Dr. Best line. This is one is particularly good for the ageing, or sensitive digestive system but I still find that taking them if and when the meal his heavier works for me. Searched for Enzymes containing the varieties found in this product. Excellent as an aging system often needs help digesting and consequently facilitating the body's ability to make corrective adjustment to health issues. Having tried other types am more than satisfied with these and find I only need to take them before having a heavier meal. Having suffered with a hiatal hernia for over 20 years, a stomach ulcer and I'm now unable to tolerate gluten (despite living a very healthy lifestyle), I am always looking and trying new products to help with the acid as I do not like taking any form of medication. This product has really helped me so much. It's gentle on my stomach, helps me digest food and keep the acid at bay. If you are at your wits end and constantly in pain, please give this product a try. It works for me and I hope it works for you! I was recommended to try these kind of enzymes for joint pain and a slow lymphatic system. There has been an improvement in both. Definitely helps me to digest food properly. Without these I struggle to digest eggs and gluten (among other things) and I definitely have more energy after taking for two months. I have been using this product for two weeks now and have notice a big relief in joint pain and digestive issues, I will indeed purchase more for good health! This has been absolutely marvellous at helping me with my digestion and joint pains. I can't run out or the reflux, burning in my stomach and joint pains return! I use it alongside HCL and digestive enzymes which although helped certainly didn't remove the above symptoms. Within a couple of days of taking this product I experienced so much relief. Best Proteolytic Enzymes is a potent formulation containing a broad spectrum of proteolytic enzymes or proteases. Proteolytic enzymes function in the body to digest and break down proteins into their amino acid components.